Batad, the queen of all rice terraces, was one of the highlights during my stay in the Philippines and one of the top destinations for my photography work. It is a spectacular place, over 2000 years old, built unlike any other by the Ifugao people. I wanted to do something special with Batad, to not only get a few nice photos and some drone shots, but to really dedicate some time to this place to capture it to the best of my ability doing (panoramic) photography and create time lapses and aerial movie. I planned the best week of the year at the end of April during the time when the rice terraces are at their prettiest green and when the Milky Way would be in perfect position and visibility would be the best. But things don’t always go as planned. This is summer time, so it’s not supposed to rain. But it rained every day, mostly in late afternoons. Skies were expected to be clear and sunny, but it was extremely cloudy most of the time. Some of my main goals were to shoot beautiful sunset photos, clear sky Milky Way scenes, and sunny aerial footage. So I had a hard time finding the right conditions to shoot my footage and ended up staying 11 days to get the footage I was after. I had to sacrifice exploring Banaue, visiting Sagada, and checking out Vigan. The cloudy, rainy weather cost me almost every sunset and each opportunity to shoot the Milky Way. 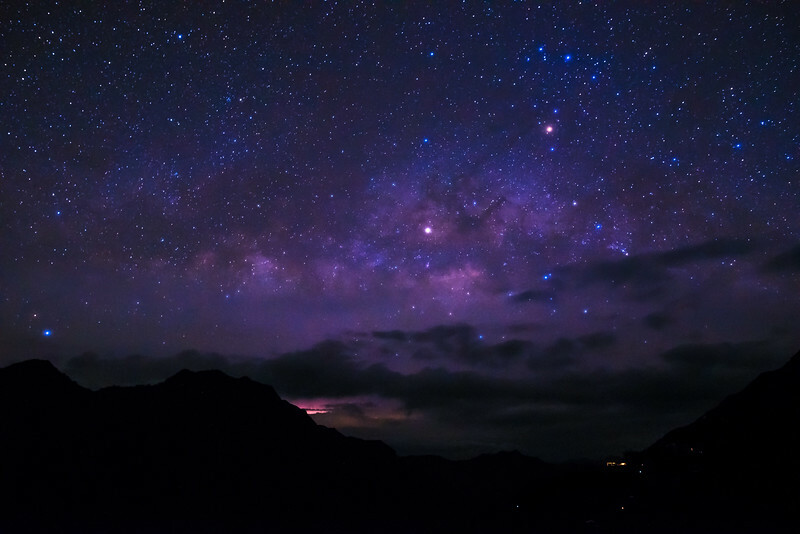 My goal of capturing time lapses and a panorama of Batad with the Milky Way was never achieved the way I planned, unfortunately. But I succeeded in getting other great footages. What the weather did bring me though, was some of the most incredible thunders I have ever heard, almost every single day. The rumbling through the mountains was beautiful! Batad has electricity, which I desperately needed to charge all my gear. But during my stay there were 4 brownouts (power failures), which lasted 1 to 2 days. So during part of my stay I couldn’t charge any of my gear. Since a brownout might last up to a week, I was very selective at those times with my footage and couldn’t shoot as much as I wanted to. During the one night when skies were clear and I could have got the Milky Way with the rice fields, there was a brownout and the whole town was pitch black (no moonlight) and so I still couldn’t get the shot. I was quite unfortunate with my drone as well. At some point I was flying vertically down to get a close up shot of the rice fields, when suddenly it went into landing mode. I tried flying up and exiting the cinematic mode, but it went straight down. Lucky enough, it landed on the edge of a walking path, falling into the rice field sideways. Two propellers were covered in mud, but the rest of the drone didn’t get completely soaked in water. Also, luckily this happened about 100m away from me and 2 local kids that were watching me fly the drone helped me reach the location before rain suddenly started (I had 2 cameras setup for the coming sunset, so if things had gone really bad, those and my whole bag would have become drenched). All in all, it could have ended a lot worse. I cleaned my ‘Airwolf’ as good as I could and placed the drone in a closed bag with dry rice to absorb the moisture. I let it sit for 3 days and thank goodness it was still working! The first few images here below are some of my favourite and most complex images I shot in the Philippines. I used my drone to find the right angle and shot 3 rows of 360 degree panoramic, stitching up to 60 photos to create these wide-angle views. Find my movies in the Time Lapse section and Video section. Read more about Batad in my blog!